“Together. Stronger”. At first sight quite simple words. However, looking at the marketing strategy behind this statement in greater depth, one can recognize the power of the slogan and how it helped Wales to qualify for the Euros that take place in 2016. The Football Association of Wales (FAW) used a couple of different slogans before in order to create a sense of belonging, community and success. It started with “Your voice, your game, your country” and then later on switched for the World Cup 2014 qualifiers to “It’s time to believe”. Even though they both were well received by the public, the slogans weren’t yet a perfect match. After brainstorming ideas and in cooperation with the creative agency Designroom Sport, the FAW elected “Together. Stronger” as its new motto for the Euro 2016 qualifiers. But how did they come up with it? It is interesting to note that the new slogan that inspired the Welsh team did not come out of nowhere. 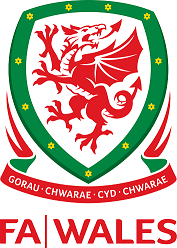 To celebrate the 75th Anniversary of the founding of the association, the FA Wales asked in 1951 for a redesign of the badge on their football shirts. As a result, the motto “Gorau Chwarae Cyd Chwarae” was added to the Wales emblem that year, which translates into ‘Team Play is the Best Play’. This means that to play as a team will bring the best results. Hence it is not too far from its current slogan “Together. Stronger” – but missing the important social media appeal (just think of the effort adding the hashtag #GorauChwaraeCydChwarae to your Twitter messages!!!). To kick-off the campaign, the FAW published a number of atmospheric photographs of Wales entire football team (men’s team, U21, women’s team, deaf team) alongside fans. Afterwards, the agency and FAW drew on the popularity and social media reach of Gareth Bale (Real Madrid), Aaron Ramsey (Arsenal) and the team’s captain – Ashley Williams (Swansea). 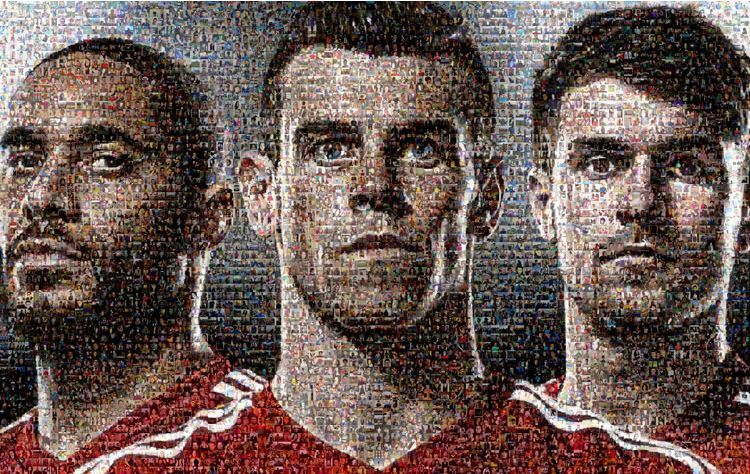 Fans were given the opportunity to be part of a mosaic of the three players made up from the supporters’ profile pictures. All they had to do was to like or re-tweet the players’ statuses on Facebook or Twitter. For a high res version of the mosaic, please visit the official “Together. Stronger” website of the FAW. The mosaic campaign reached more than 10.9 million fans. 208,000 people participated with their profile pictures which would have been enough to fill the mosaic five times over. As a result of its success, the mosaic was nominated for the BT Sports Industry Awards for Best Integrated Campaign. Afterwards, the Welsh team management placed banners and motivational messages around “Together. Stronger” in the team hotels. Since players were therefore constantly exposed to the slogan, the whole squad regularly added the hashtag #TogetherStronger to their tweets and Facebook messages. This created the needed extra buzz around the slogan and it was soon after found in thousands of messages across all social media channels. Fans used the hashtag #TogetherStronger when discussing the accomplishments of the Welsh team and in the same way did the entire football squad when sending updates before and after the matches of the Euro 2016 qualifiers. The constant two-way communication around the same topic created in the end the intended strong bond between the team and its supporters which pushed them through the qualifiers. Supporters felt that the team was fighting together with them on the pitch and players felt that the whole country was standing behind them. They were together in this struggle to make it to the Euros 2016. By directly linking the fans with the players, the new slogan “Together.Stronger” accomplished exactly what the officials at the FA Wales intended to achieve. The psychological connection made the Wales’ national squad stronger and more successful – qualifying on October 10th for the first time in its history for a European Championship. What a great strategy! Glad to see the boys made it with our support!!! Another piece of evidence how marketing has an impact on the “real” world.